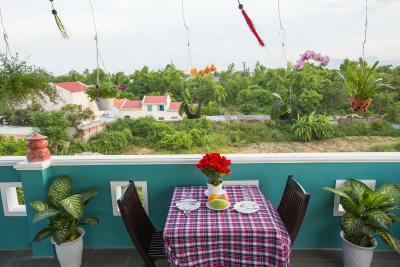 Lock in a great price for Quynh Nhan Homestay – rated 8.8 by recent guests! 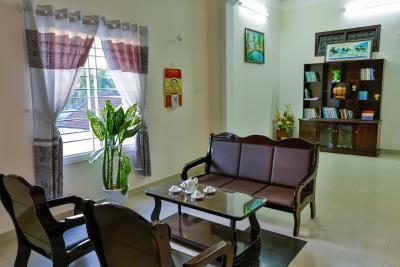 Clean room and toilet, room is big and comfort. 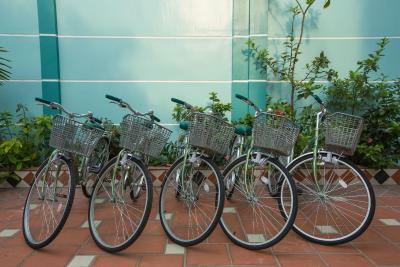 Nice service and free bicycle to ride around the town. 10/15 min walk to the old town, room was big and had a balcony. Loved the property it was always.nice and clean. The location was a little bit out of town but perfect walking distance. You could also rent bikes for free as well. Just round the corner from eli tailors who were brilliant. Already the second time I stayed here. Love the free bicylces with which you are in 5 minutes in the old town. 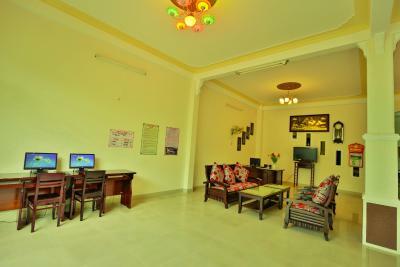 Rooms are spacious and the family is very friendly. Spent Christmas Eve there and got a cake brought up to my room. Very cheap inhouse motorcycle rental to go to My son for example. Breakfast is available but if you prefer pho there is a place right next door. Everything was perfect really ! Staff super nice, not so far from the city center and if lazy you can catch a free bicycle. Extremely comfy, clean in a huge room. But the best is the shower ; the best in all Asia. 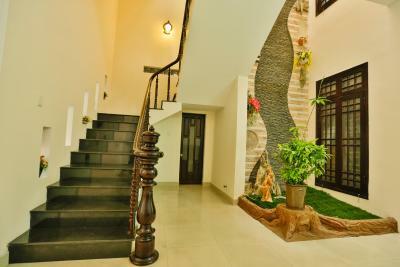 Will definitely come back in this old and nice stilish house ! Amazing room, big clean bathroom! Good WiFi. Close to the bus stop after our sleeper bus was able to check in at 11:30. 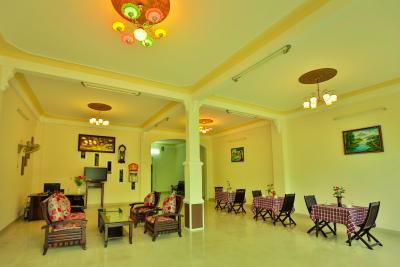 Booked a bus to Hue from hotel, staff friendly! 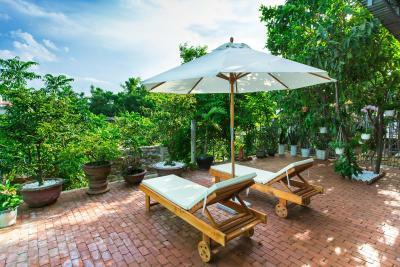 Quynh Nhan Homestay is located near Hoi An Ancient Town. 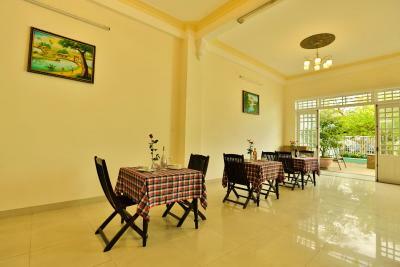 It houses a restaurant and features free bike rentals and free WiFi access in its public areas. 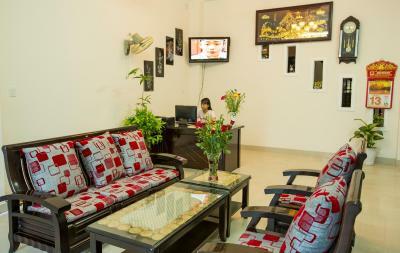 Rooms are equipped with a flat-screen TV with cable channels and a mini-bar. 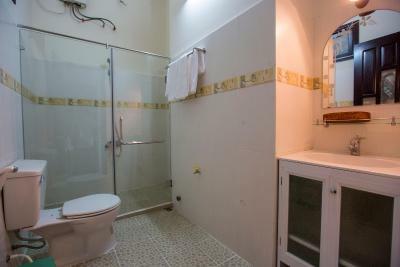 The private bathroom offers bath or shower facilities, toiletries and a spray bidet. Guests can make travel arrangements at the tour desk. Staff at the 24-hour reception can assist with laundry, dry cleaning, ironing and airport shuttle services. The property is 0.7 mi from the Japanese Covered Bridge and Assembly Hall of the Cantonese Chinese Congregation. 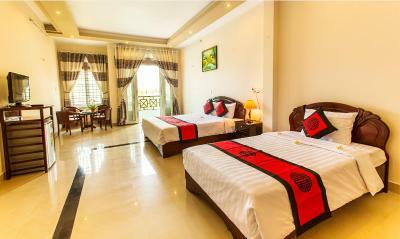 It is 14 mi from Da Nang International Airport. 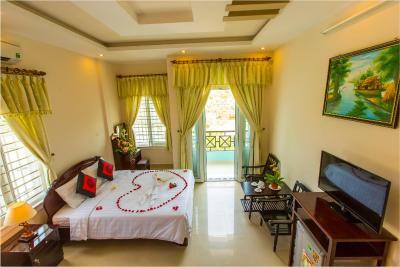 When would you like to stay at Quynh Nhan Homestay? 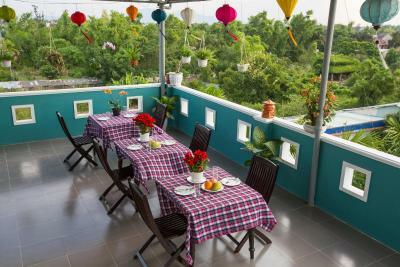 Rooms come with a balcony. They accommodate 3 guests. 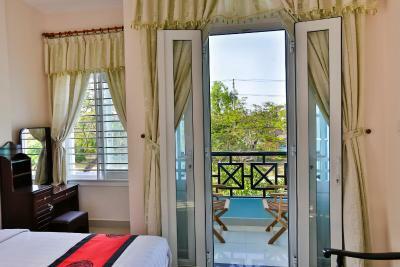 Rooms come with a balcony. They accommodate 4 guests. 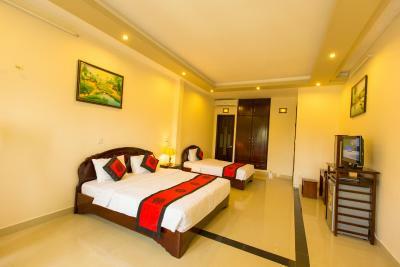 This room type can accommodate up to 2 extra beds. 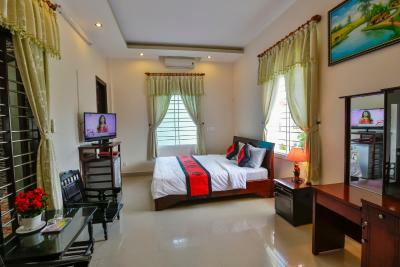 Located on the ground floor, these rooms are equipped with a flat-screen TV with cable channels and a mini-bar. 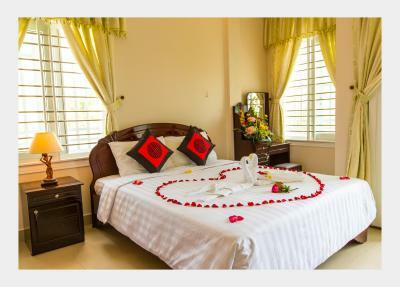 The private bathroom offers bath or shower facilities, toiletries and a spray bidet. 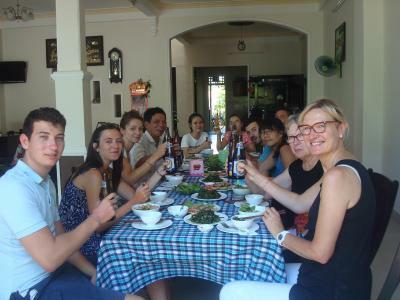 House Rules Quynh Nhan Homestay takes special requests – add in the next step! 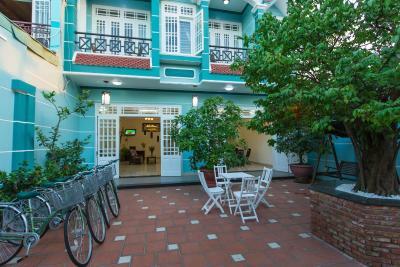 One adult is charged VND 186606.48 per person per night in an extra bed. 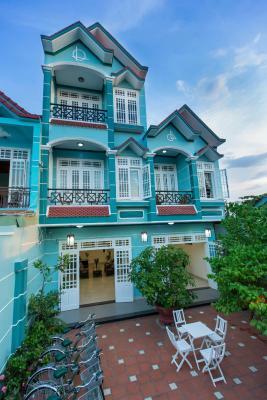 Quynh Nhan Homestay accepts these cards and reserves the right to temporarily hold an amount prior to arrival. 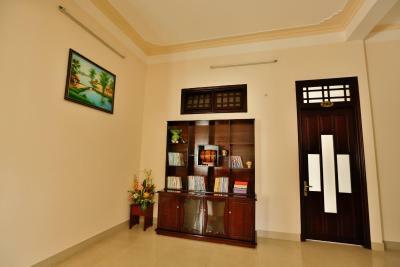 Please inform Quynh Nhan Homestay of your expected arrival time in advance. You can use the Special Requests box when booking, or contact the property directly using the contact details in your confirmation. The bed and pillow weren’t comfortable and the toilet was old and the shower holder was broken. 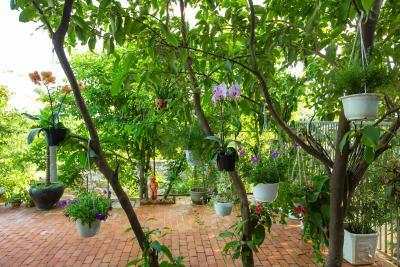 Its not in the city center but not far! 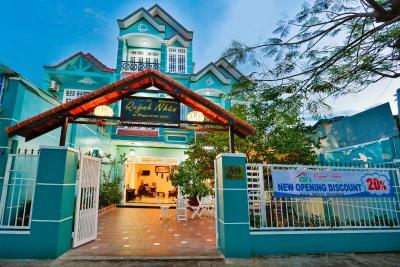 Finally after traveling through Vietnam we stayed here and we had clean linens, good shower! Very friendly family, good in formation, very clean and a nice shower! shower is not good. but it's ok.